Cable rated for 30A continuous, 40A intermittent. 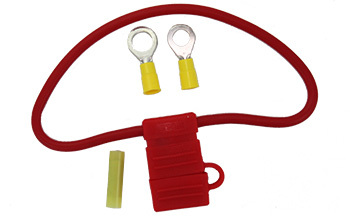 If needing 40A continous, use 50A Fuse Batt Cable 6ft Powerpole® - Ring Term. Cable Sku# 58257-1533.